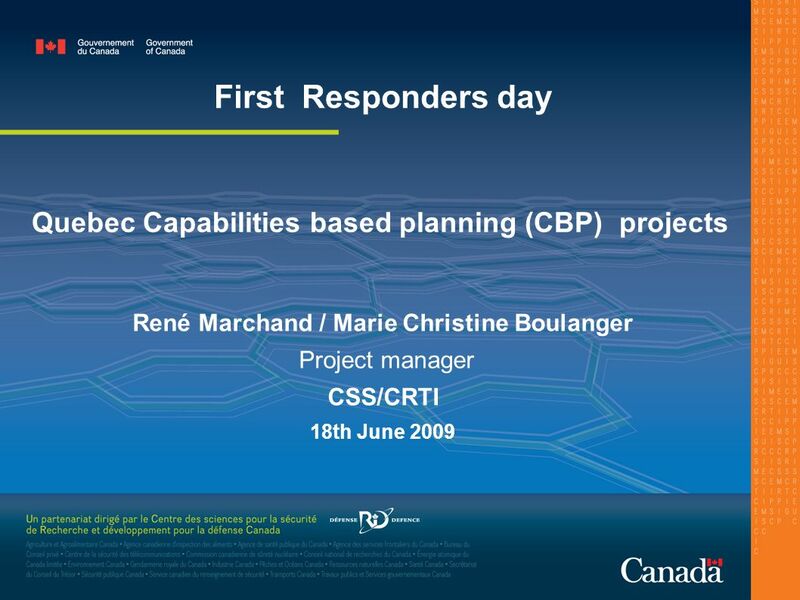 Quebec Capabilities based planning (CBP) projects René Marchand / Marie Christine Boulanger Project manager CSS/CRTI 18th June 2009 First Responders day. 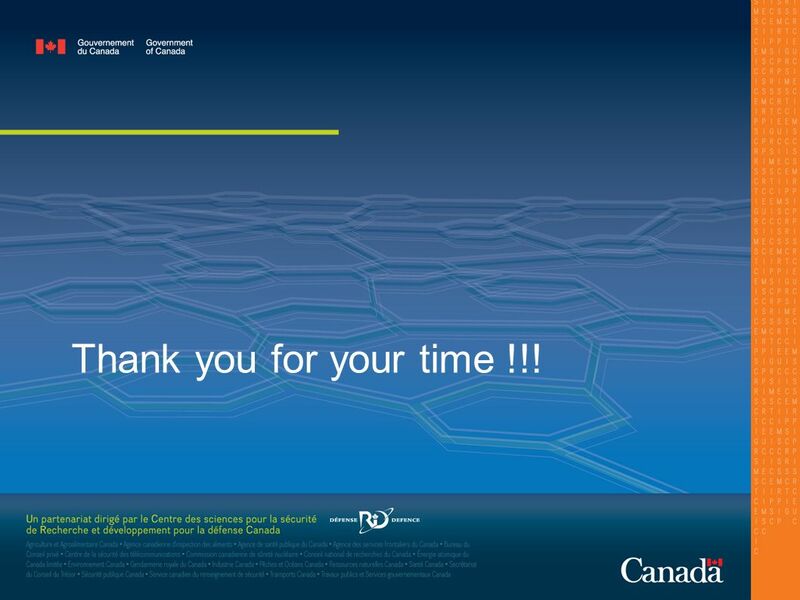 8 Thank you for your time !!! 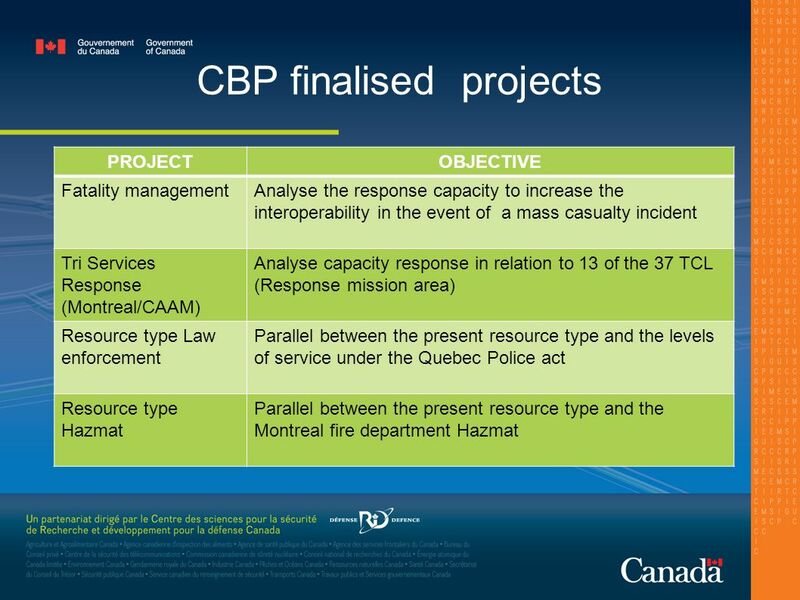 Download ppt "Quebec Capabilities based planning (CBP) projects René Marchand / Marie Christine Boulanger Project manager CSS/CRTI 18th June 2009 First Responders day." 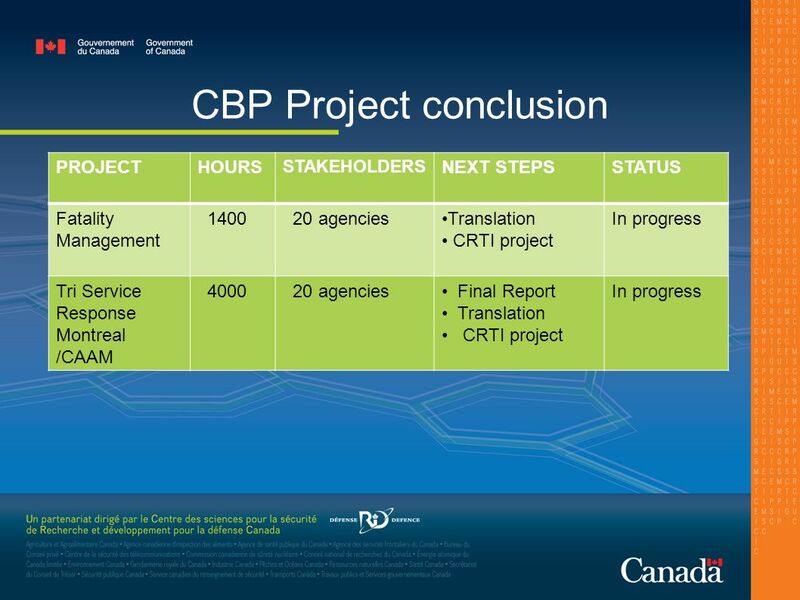 Public Security Technical Program CSS Summer Symposium PSTP Study: A scenario-based approach to protecting Telecommunications Critical Infrastructure. United Nations Economic Commission for Europe Transport Division United Nations Economic Commission for Europe Transport Division ITU - Inland Transport. Cochise County Health Department Bioterrorism Preparedness: IGA Presentation March 27, 2007 Elizabeth Lueck, BT Program Coordinator Vaira Harik, Health. Emergency Management Unit “S ETTING THE T ABLE ” T O A CCOMPLISH THE T ACTICAL O BJECTIVE C ITY OF O TTAWA S ECURITY AND E MERGENCY M ANAGEMENT B RANCH. Community Risk Assessment May 10, 2012 Minneapolis Department of Health and Family Support. 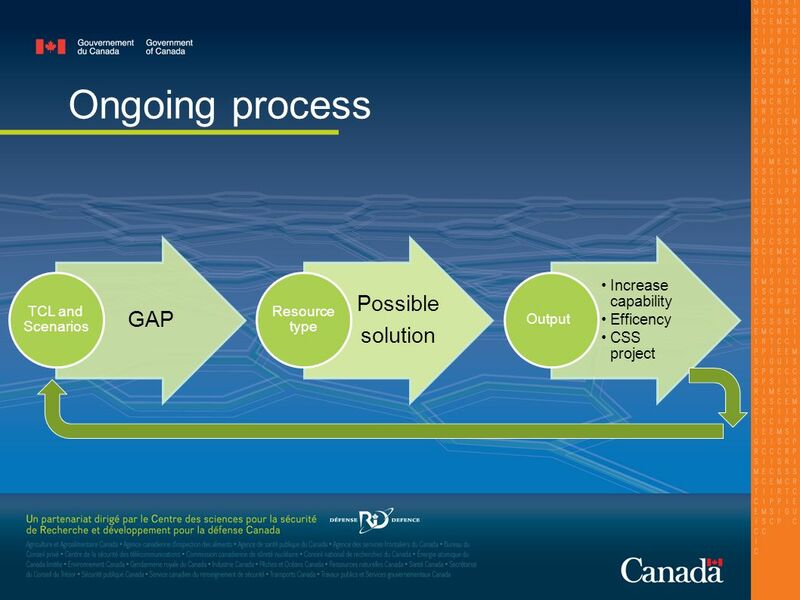 Capability Cliff Notes Series PHEP Capability 5—Fatality Management What Is It And How Will We Measure It? 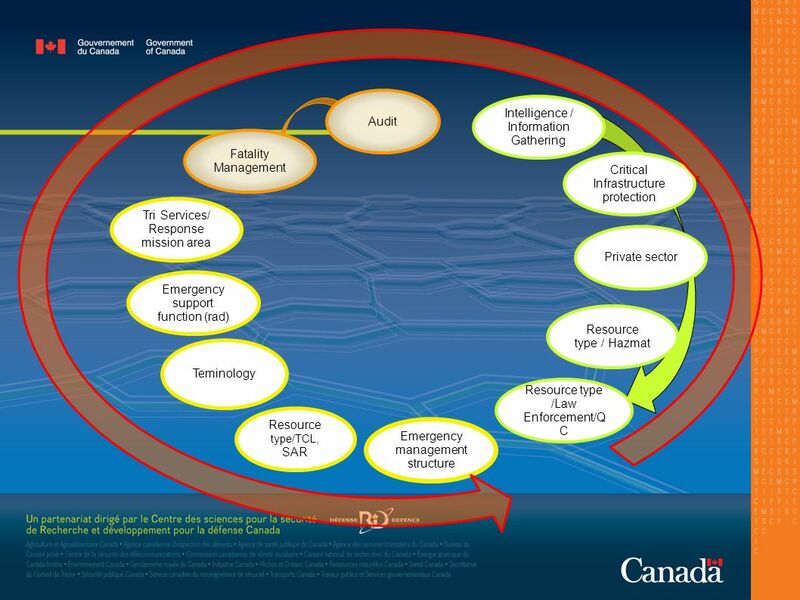 1 United States Fire Administration Emergency Management and Response ISAC Protecting the Critical Infrastructures of the Emergency Management and Response. 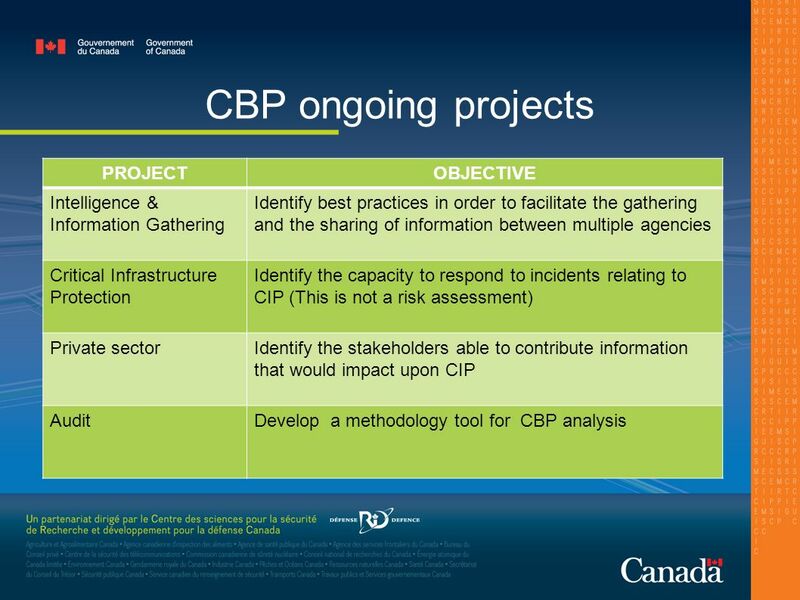 Presenter’s Name June 17, 2003 Catastrophic Preparedness Incorporating Whole Community Philosophy  We must plan for the real, not the manageable  Plan. 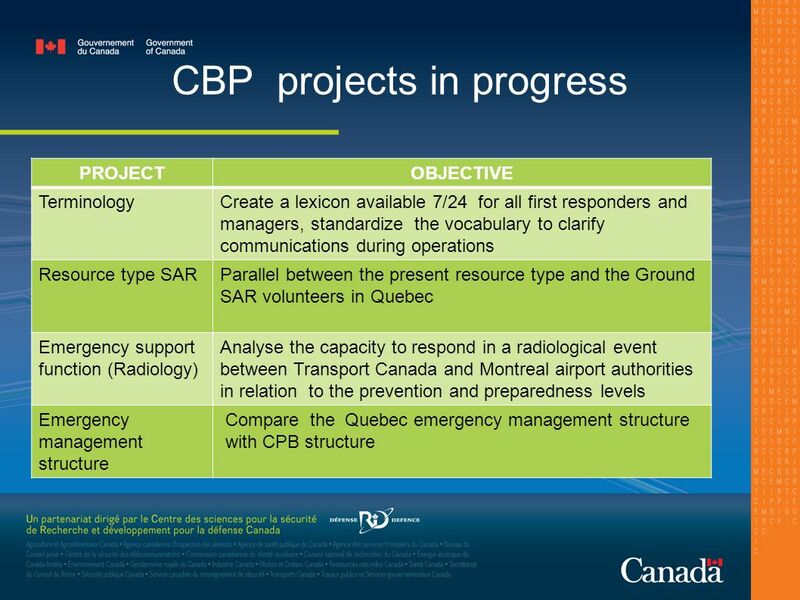 National Practice Leader Emergency Response Planning NFPA 1600: The National Preparedness Standard July 6th, 2005. Jeffery Graviet Emergency Services Coordinator, Salt Lake County Chairperson, Salt Lake Urban Area Working Group.